The first round of the postseason may not be the most enthralling to watch, but it still offers great NBA basketball action. Eight NBA first-round playoff games are on tap for the weekend. Here is a look at some of those big games. 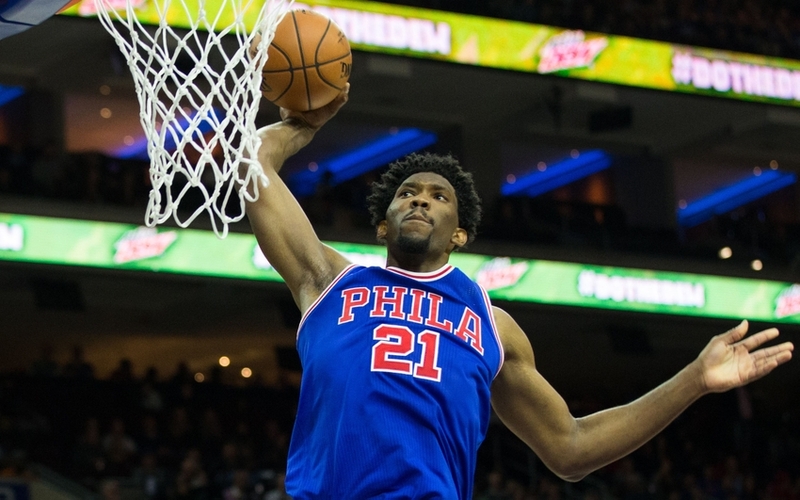 The Brooklyn Net finished the season strongly while the Philadelphia 76ers struggled. In truth, the 76ers had qualified for the postseason long before their last game, so they took their feet off the accelerator. The teams played four times during the regular season splitting the games with two wins apiece. The 76ers should shine at home in Game 1 as home court plays a major part during the NBA Playoffs. This is the point in the season when the Golden State Warriors talent rises to the top. Yes, they are burning hot already, but the playoffs are where the Warriors really shine. Golden State could be in the final year of their dynasty. Klay Thompson could leave the Warriors and Kevin Durant is almost a certain thing to go. Where he lands no one knows, but it is unlikely to be with LeBron James in LA. The Los Angeles Clippers are the eight seed. Is there any hope for the Clippers? They are planning a big offseason as they attempt to lure named free agents, but that won’t help them now. 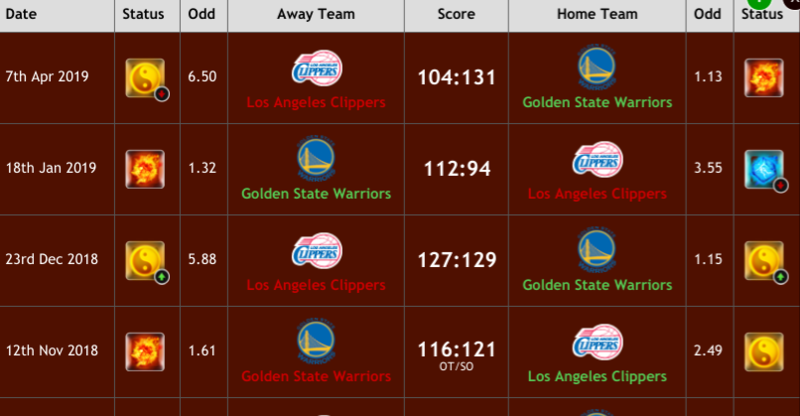 The Clippers will need to be at their best and then some to beat Golden State. Can they take a game or two? Sure, but not in Golden State. Golden State won three of four games against the Clippers in 2018-19. The NBA’s best team during the regular season, the Milwaukee Bucks, host the Detriot Pistons. The Bucks posted a fantastic 33-8 home record. The Pistons were 11 games under .500 during the regular season on the road. It is a major mismatch. The Bucks won all four meetings with the Piston during the regular season having little trouble winning each. Giannis Antekounmpo is on track to win the NBA MVP award. As long as he continues his play from the regular season, the Bucks will win the Eastern Conference Playoffs. I’m really torn on this series. Neither team is that great as Boston finished with just one more win than the Pacers did. Home court should play a big part. The Celtics were 28-13 at home while the Pacers were 19-22 on the road. Boston was one game over .500 on the road. The Pacers were 29-12 at home. 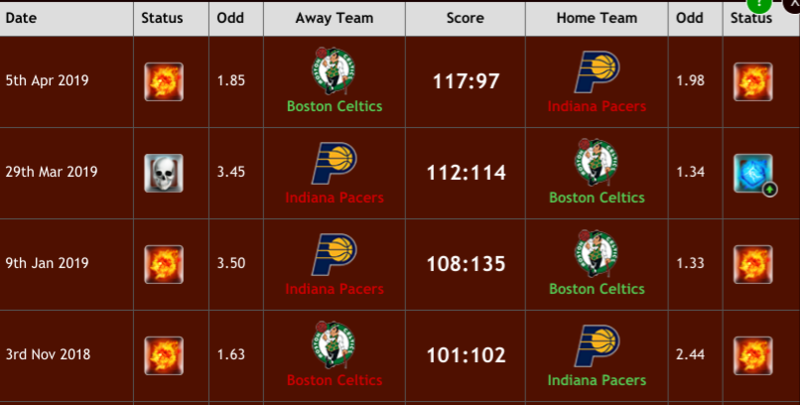 However, Boston isn’t convincing and a bad night could see the Pacers advance. Game 1 will see a decent game from the Celtics as they pick up a win. From there, the Pacers could take over. Just gotta keep believing in these Golden State boys!